Why not spice up your next dinner entrée with Lucille's Baked Chicken Thighs. With the present increasing costs on everything, chicken is still a great bargain and who doesn't enjoy the flavors of poultry dark meat? Although dark meat contains more fat than white meat, it’s not as big a difference as you might think and it’s this extra fat that gives it its juicy texture. White or dark meat, chicken is nutritious and an excellent source of protein, niacin, phosphorous, B6, B12, Vitamin D, calcium, iron and zinc. Any way you slice it, chicken is good for you. So go ahead and add a little dark meat to the menu. It’s more nutritious and is lower in saturated fats than salmon, and leaner than sirloin steak, pot roast, hamburger, beef tenderloin, pork chops, and ham. It will also save you money. You can’t beat that! 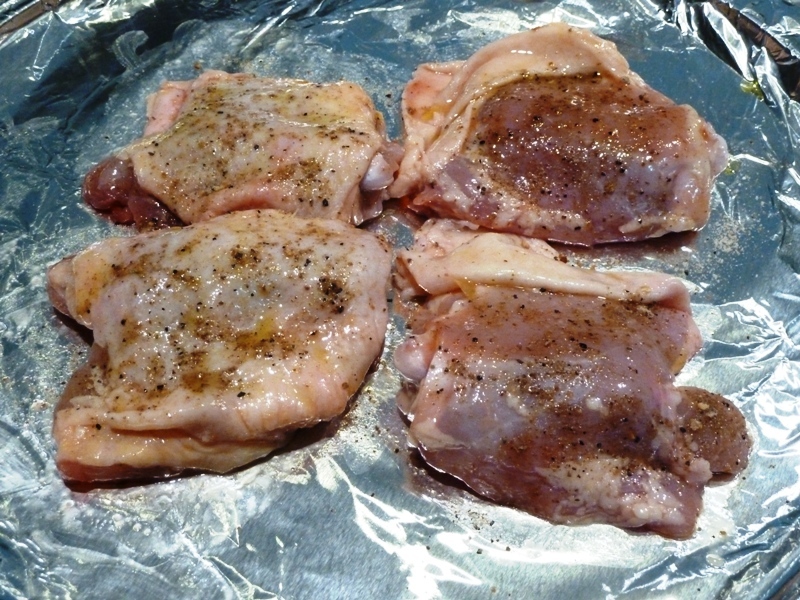 Trim the chicken thighs of excess skin and fat under the skin. 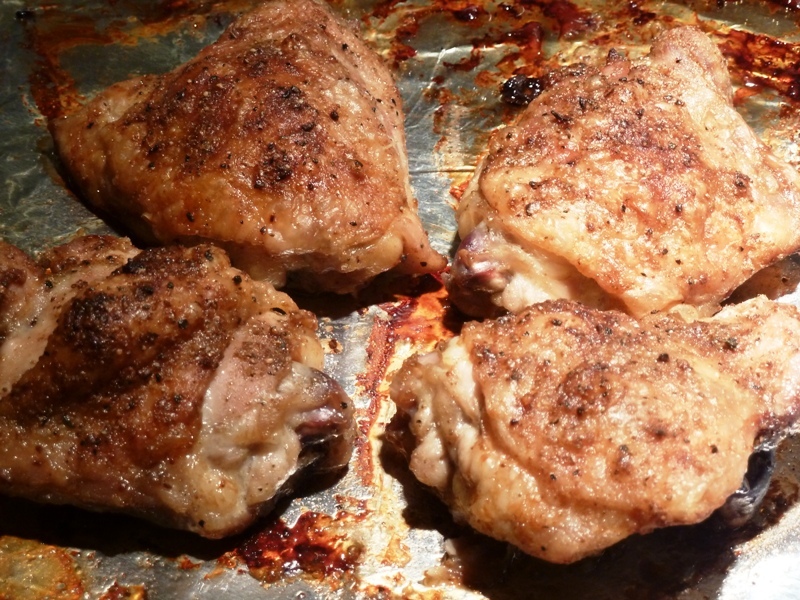 Seasoning just the skin does nothing for the actual chicken meat and is a common procedures called for in many recipes. I suggest that you not only season ON but also UNDER the chicken skin for best results. Especially since many people are choosing to not eat chicken skin anymore. Peel the chicken skin back, as shown above, and lightly rub Roasted Garlic Extra Virgin Olive Oil on and under the skin. Season the chicken with Lucille's San Francisco Mild, replace the skin, and also season the skin. 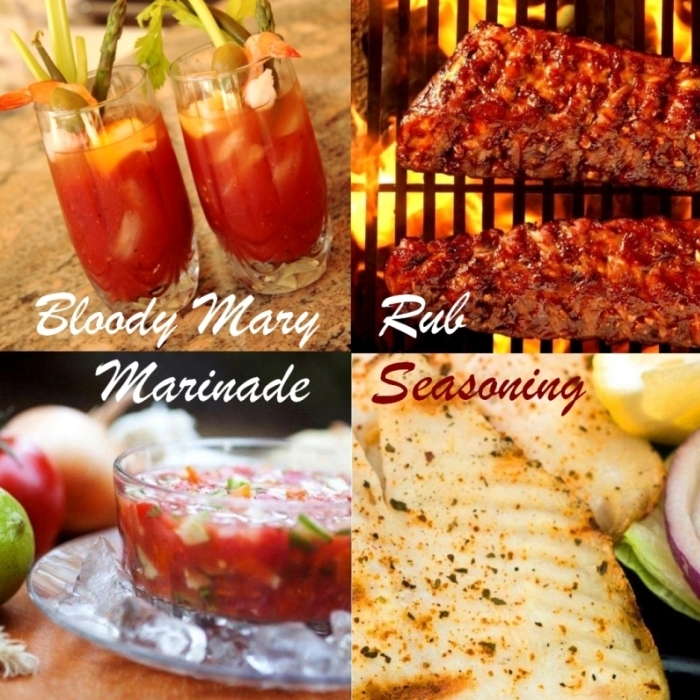 If you prefer to kick it up a notch, like chef Emeril Lagasse would say, use New Orleans Nippy or Cajun Hot !! Wrap the chicken thighs in plastic and refrigerate for 3-4 hours. Preheat the oven to 350ºF and bake the chicken for 45-60 minutes until the internal temperature reaches 180ºF, Allow Lucille's San Francisco Mild baked Chicken Thighs to loosely rest under a foil tent for 5 minutes before serving. 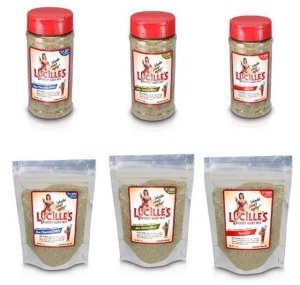 It doesn't matter what your favorite Lucille's Pork Tenderloin Rub is cause they're all wonderful on cuts of pork. Yes, you can use Lucille's Bloody Mary Mix for a great Bloody Mary cocktail and seasoning your protein. The best of both worlds! Whether you’re a novice or expert, smoking, grilling, or baking the tenderest cut of Pork, the Tenderloin, is easy. 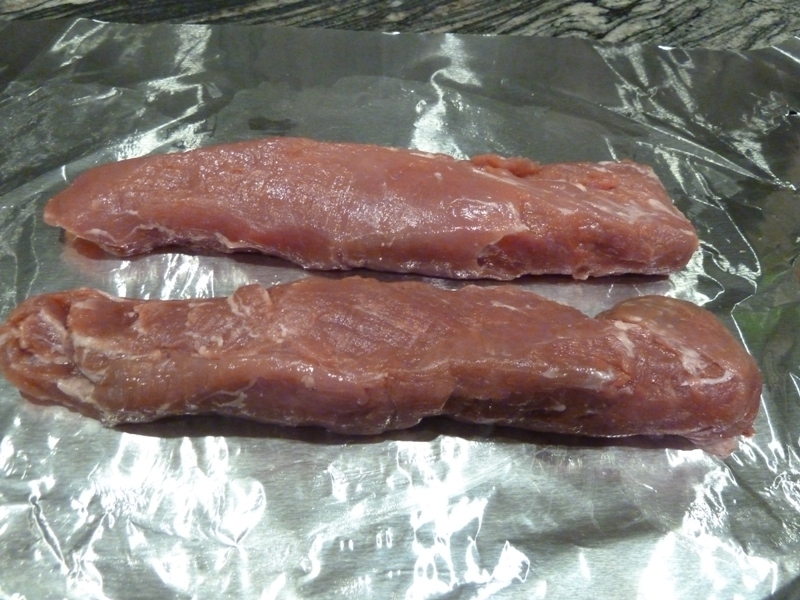 Most tenderloins come packaged in a quantity of two. You’ll find the tenderloin to be relatively lean but there will probably be some silver skin. Remove the silver skin and excess fat before seasoning and proceeding. 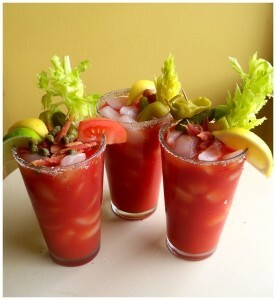 Rub the pork tenderloins first with Extra Virgin Olive Oil before applying a liberal amount of Lucille's Bloody Mary Mix dry spice blend. Let yourself go from mild to wild - San Francisco Mild, New Orleans Nippy, or Cajun Hot. 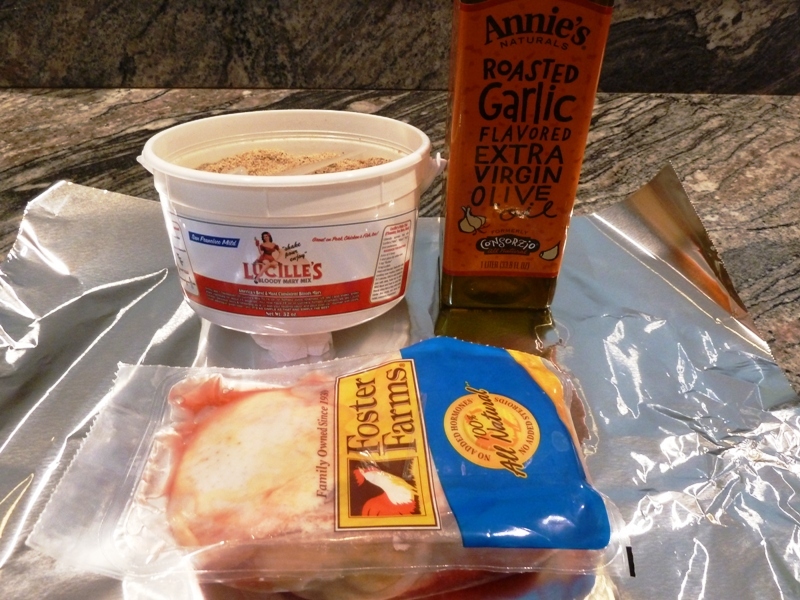 Wrap the seasoned tenderloins in plastic wrap and refrigerate overnight. 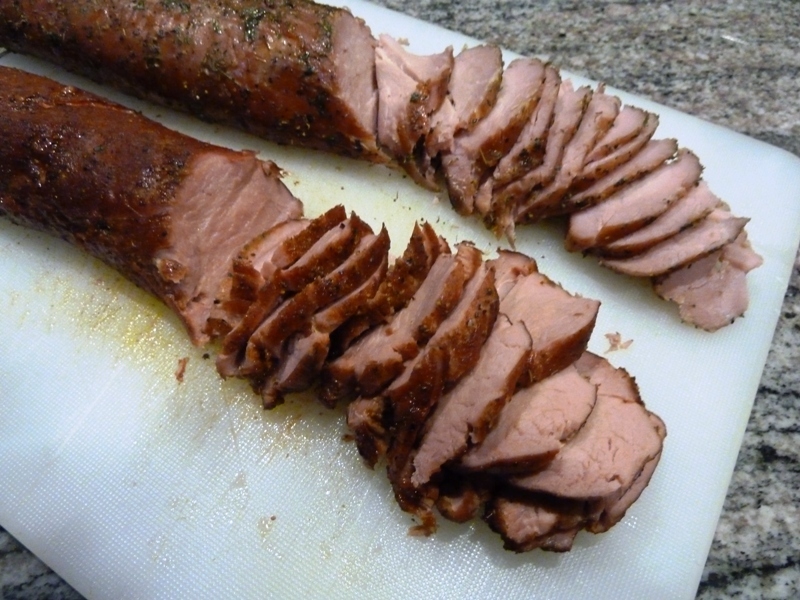 Hickory was made for pork and when smoking a pork tenderloin I recommend maintaining a temperature of 225ºF until the internal temperature of the tenderloin reaches 145º - 150ºF. Note that the new USDA guidelines now recommend that pork is cooked at an internal temperature of 145ºF and no longer needs to be taken to 160ºF. While using a Wood Pellet Smoker-Grill achieves the greatest results you can also use this recipe in your charcoal/propane grill, etc. as long as you maintain a set temperature. Allow the Lucille's Pork Tenderloins to rest loosely under a foil tent for 15 minutes before slicing against the grain and serving. 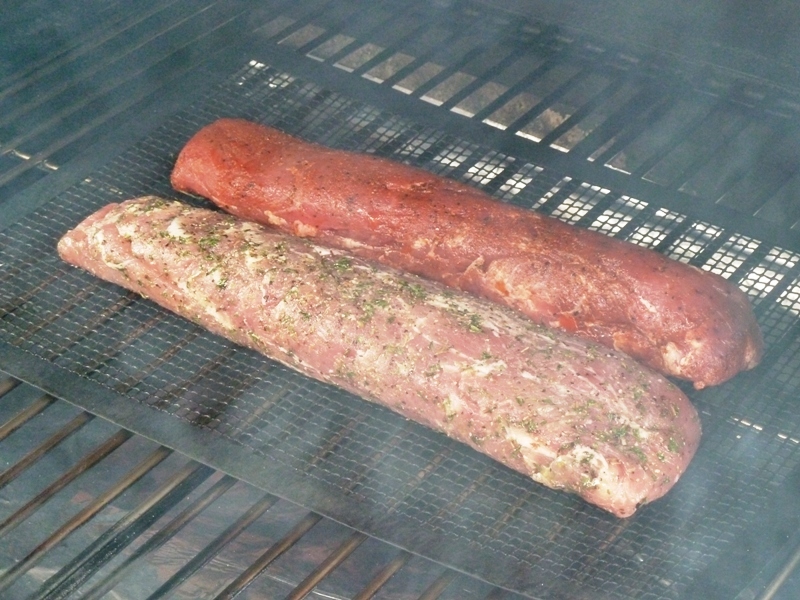 Pork Tenderloins smoked at 225ºF will take about 2½ hours to reach an internal temperature of 147ºF. 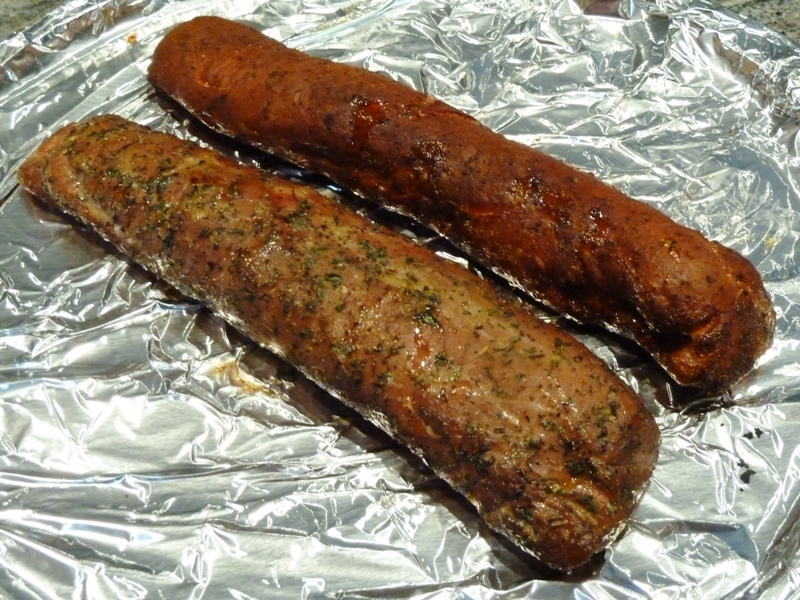 Remember to use cooking times for planning purposes and to always use an accurate meat probe. The results were scrumptious … the Pork Tenderloin had a wonderful light hickory smokey flavor along with the flavor profiles provided from the use of Lucille's Bloody Mary San Francisco Mild Mix … but the crème de la crème is the tenderness of the Pork Tenderloin. So tender that you can easily cut it with a fork!! Thinking of what to cook for dinner tonight? 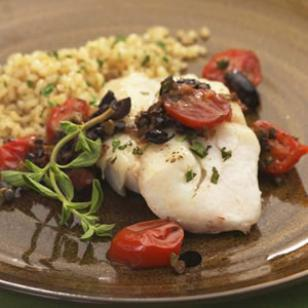 Then Seared Tilapia with Olives and Roasted Tomato Tapenade by Chef Nicolas Sanchez of the Stockton Golf & Country Club which features the 100% natural dried herbs of Lucille's San Francisco Mild Bloody Mary Mix would be a great choice! YIELD: 4 Servings ... Bon Appétit!! Here’s you chance to take advantage of our HOT October deal of dry spice blend of authentic 1940s Lucille’s Bloody Mary MIx before the deal goes away! Now until October 31st we are offering a $2 off coupon on any Lucille’s Bloody Mary mix flavor of 4oz resealable bags or shakers! Flavors include our San Francisco Mild, New Orleans Nippy and Cajun Hot. With the holidays quickly approaching it’s better to be prepared. Our 4oz resealable bags and shakers make the perfect gift for those hard to buy for people on your list, your favorite foodies and of course Bloody Mary lovers! Lucille’s is offering a $2 off coupon from now until October 31, 2014 on any flavor 4oz bags or shakers! Don’t miss out on this awesome deal!